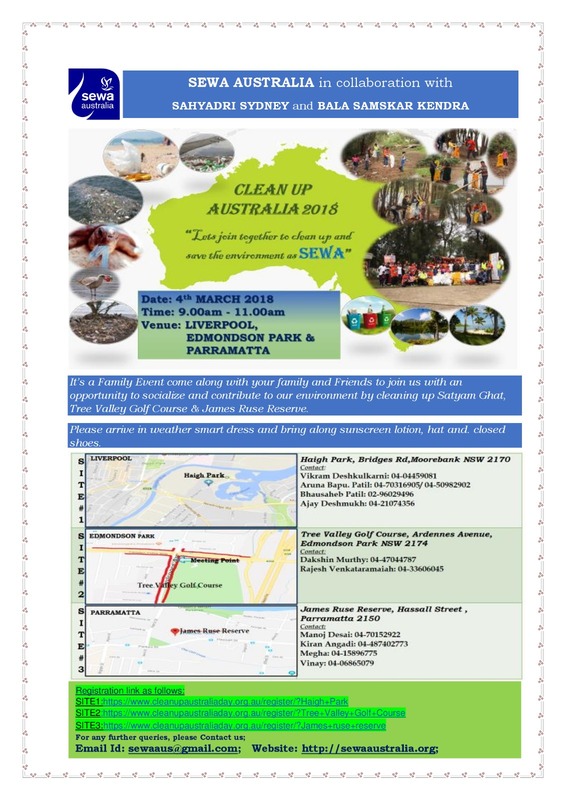 Sewa in collaboration with Sahyadri Sydney and Bala Samskar Kendra is participating in Cleanup Australia Day on Sunday, 4 March 2018 from 9:00 AM to 11:00 AM. It’s a family event come along with your family and friends to join us with an opportunity to scialize and contribute to our environment by cleaning up Satyam Ghat, Tree Valley Golf Course and James Ruse Reserve. Please arrive in weather smart dress and bring along sunscreen lotion, hat and closed shoes.